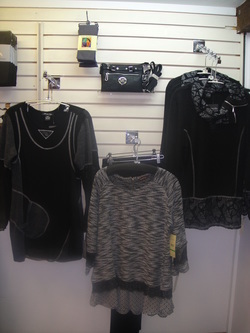 We carry TRIBAL, MULTIPLES, MICHAEL TYLER, FOXCROFT, and PARSLEY AND SAGE in X-small - X-large and sizes 2 - 18. We will also have beautiful sweaters and jackets from Parkhurst and Erin London this fall. 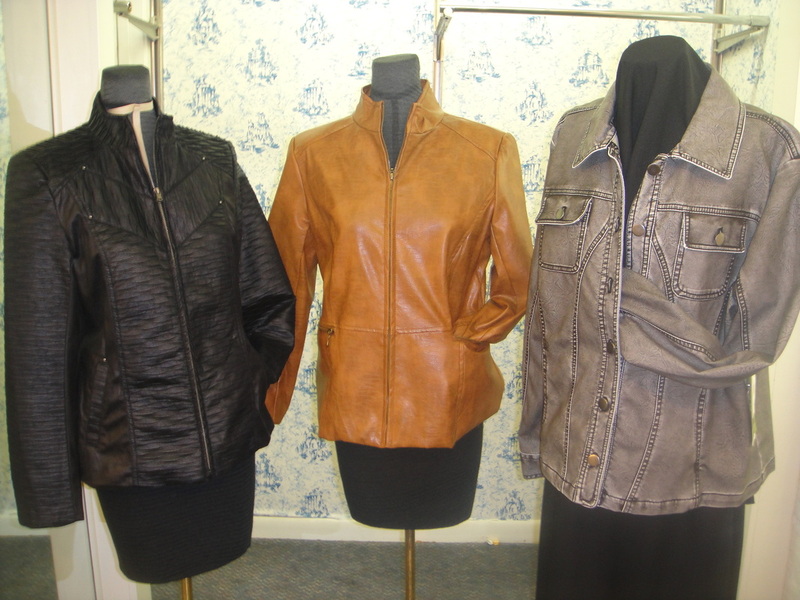 Beautiful Pleather Jackets in Cream and Taupe. Jacket on the left has removeable sleeves which make it a vest. Two in one!